Generally I don’t like participating in Media Events, but the recent attacks in Paris have shocked me more than most jihadist activity in recent years. One thing to think about, though, if you’re going to Do Something about it on Facebook: the French tricolor is symbol of France – but a secular, republican symbol, like Marianne or the Coq gaulois. By all means change your profile picture if you wish, but be aware that it is somewhat incongruous to display a French flag with “pray for France” written on it. 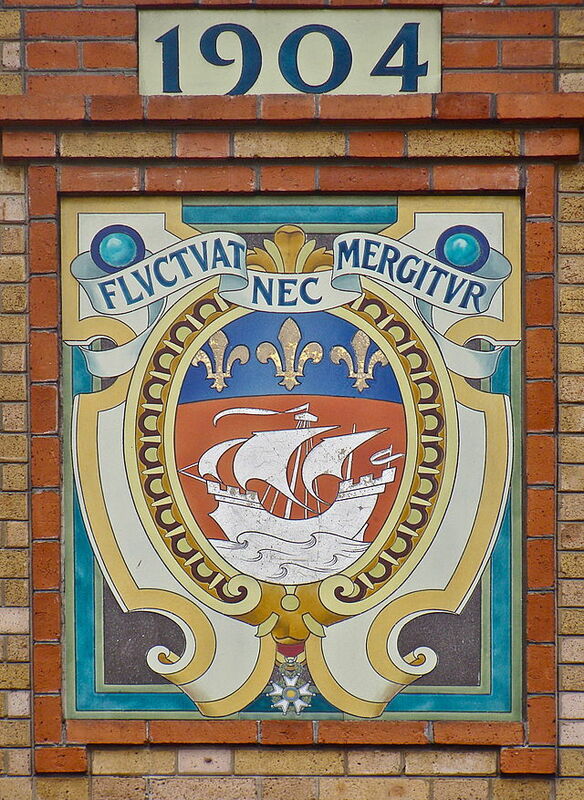 Given that the attacks took place in Paris, the arms of Paris might also be a good choice to show at this time. 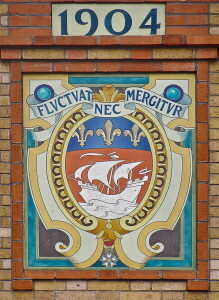 The motto, translated as “She is tossed by the waves, but does not sink,” seems especially appropriate. This entry was posted in Flags, France, Heraldry, Islam, Paris, Symbolism by jgood. Bookmark the permalink.